This patented ‘pick and discard’ leaf picker makes collecting fallen leaves quick, efficient and - dare we say it - fun! 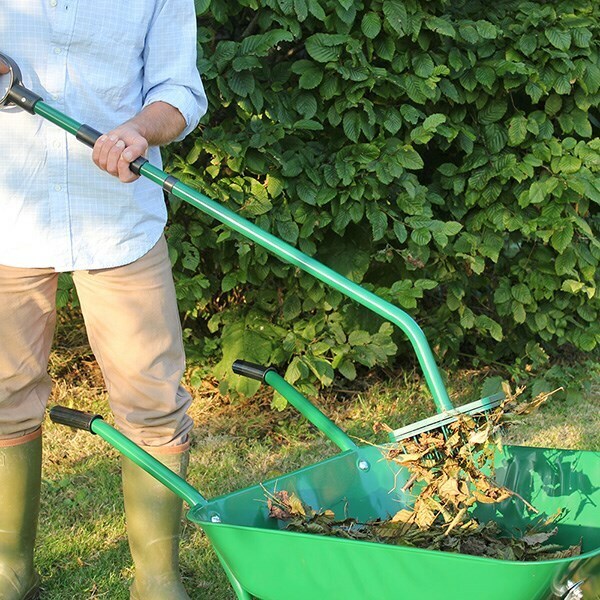 Push down the spiked head to spear dead leaves and use the quick-release handle to deposit them in your barrow or bag. Neat as you like. No dragging up the lawn, scraping up gravel or damaging nearby plants. Designed with a light weight and ergonomic angled shaft to reduce bending and back strain.